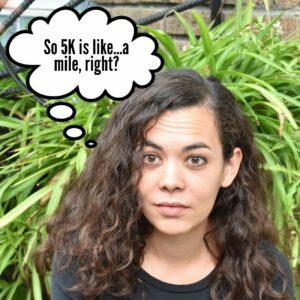 I am definitely not a runner, but 5K is about the same distance as my “zoo run,” although my zoo runs have a lot of stops on the route, depending on such factors as whether or not the pandas are out and whether or not my enthusiasm for the farm animals gets the better of me…it’s a long way back up that hill. Sometimes they are long stops. Maybe I should practice or something.